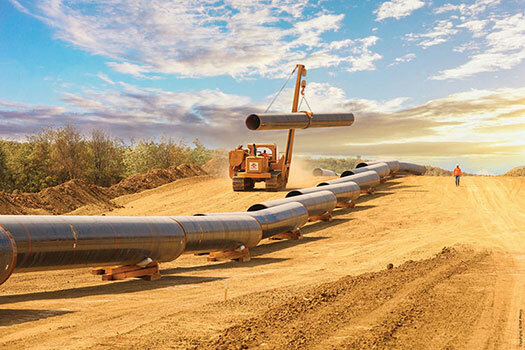 Oil Gas pipelines solutions |structural pipes |Corinth Pipeworks - Corinth Pipeworks S.A.
CPW is a global leader in steel pipeline solutions for the energy and construction markets. 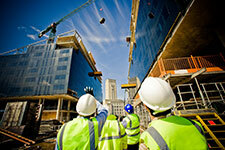 Decades of experience provide an in-depth understanding of what our clients expect. CPW has the ability to add value to a client’s project whether the application is a challenging offshore subsea flow line, a high criticality onshore gas transmission pipeline, or a specialized structural steel requirement. CPW’s strong commitment to the latest pipe manufacturing technology and its experienced staff support a continuous drive for innovation. It is this philosophy that supports the fact that high quality welded pipes are used for a wider range of applications than ever before. As a result of CPW’s input, many clients are now benefitting from optimised technical performance, reduced lead times, significantly lower CAPEX, lower installation costs and in turn improved project viability. CPW combines our pipe manufacturing expertise with a willingness and flexibility to supply a full package of compatible products and services. 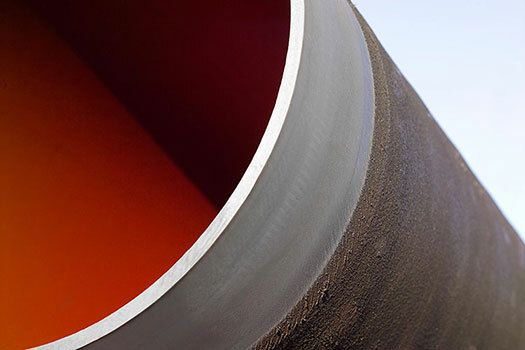 When required our clients usually opt to take advantage of our modern anti-corrosion pipe coating capability. In addition, our general industrial plant, facilities, and engineering know-how can be put to many other practical uses. Project 400Km in Tunisia The Nawara gas pipeline project in Tunisia of OMV was realized by CPW in 2013 and 2014. 500Km offshore project in West Africa The West African Gas pipeline (WAGP), an offshore gas pipeline of Chevron Texaco was realized with pipes from CP Win 2005. Fast delivery project in the North sea We achieved 4 months delivery for the B13 to A12 Satelite Platform in Netherlands, a Chevron offshore gas pipeline laid by All seas. 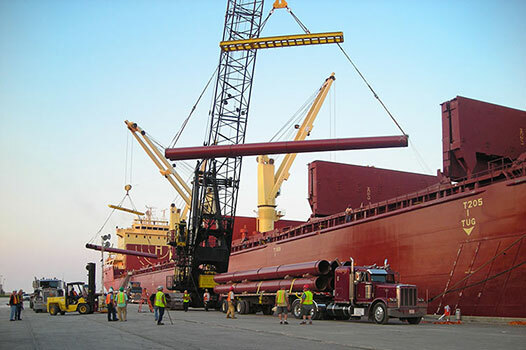 Multi logistics delivery in France Arc de Dierrey project of GRT Gaz required delivery with vessels, barges and trucks managed with success entirely by our project management department. Biggest part of Trans Adriatic Pipeline awarded to CPW Trans Adriatic Pipeline AG (TAP) awards contract to Corinth Pipeworks for the supply of large diameter pipes, for a total length of approximately 495 km (~270,000Tn of steel pipes, 48” diameter), for the onshore part of the pipeline across Greece. Big challenge – Great success The completion of Trans Adriatic Pipeline (TAP) pipe production was celebrated in our plant in Thisvi, Greece. 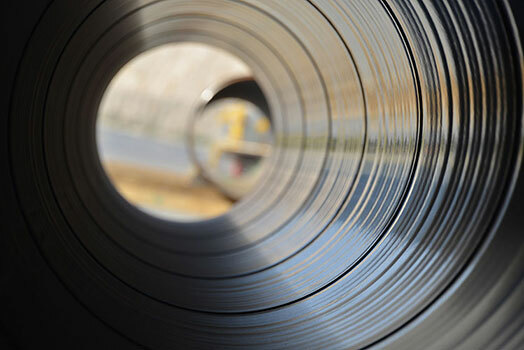 28,600 pipes to be laid along 495km were manufactured and coated at our facilities, both at our HSAW and LSAW pipe mills. Made in Greece Awards 2015 The “Export Excellence” award was given to Corinth Pipeworks from the Greek Marketing Academy during the “Made in Greece” 2015 award ceremony. Knarr field development(offshore) CPW has supplied the pipes for the demanding offshore project of BG Norge in the Norwegian Sea,laid in water depth of max. 450m. Corinth pipes to connect Asia to Europe - TANAP offshore pipeline Corinth Pipeworks supplied 37Km of DNV SAWL 450FD 36” pipes with 3LPE anticorrosion coating and concrete weight coating for the TANAP offshore pipeline to SapuraEnergy, a leading global integrated oil and gas services and solutions provider operating across the entire upstream value chain.